Cao Xueqin’s The Story of the Stone [红楼梦]  (please see Note 1, at the end of this essay), sometimes translated as Dream of the Red Chamber, sometimes as A Dream of Red Mansions, is an immensely long novel profligately filled with captivating personalities and compelling incidents. The Stone is one of the most rare and opulent works of world literature: an imaginative composition that undertakes, like Middlemarch, War and Peace, and Ulysses, to create a narrative that is equivalent in complexity, coherence, and consequence to the the civilization and society in which it was written. Every time I read The Stone I find myself intrigued by a passage that does not initially appear to have a seminal purpose or obvious prominence. It is a funeral scene set at an early point in the novel. 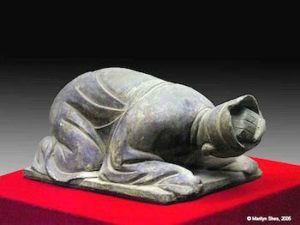 A woman named Qin-shi is being memorialized. In a lengthy paragraph Cao remarks that “all people of any consequence in the Capital” [Wang, 95] are attending the obsequies for this brutally abused, tragically wasted young person. He then provides “a complete roster of the notables present” [Wang, 99; see also Hawkes, i., 284-5]. The seemingly innocuous catalogue raises important questions about how we live in the condition of community, the dissimilar circumstances of our experience, and the ways in which we respond to disparities that we are taught to accept as necessary and natural. In the civilization The Stone records, what makes one human being more notable than another? What disqualifies a person from noteworthiness? Why are certain individuals more important than others? How can this be? Cao invites us to ask similar questions about life’s episodes and events. In the world The Stone archives, what constitutes a notable occasion or action? Why does a story need to explore certain situations and occurrences? Why do others not deserve narration? Cao is acutely aware of these issues. Indeed, he directs us to think about them. Cao frequently asks this question. Never does he exegete the “principle” that determines his decisions. Cao’s provocative query implies another. In The Stone, in any story, how do characters recognize and express their respective places in their social spectrum? To ask this question is to wonder how we accomplish the vital work of identification in the real world. As we conduct our daily lives, how do we calculate and convey our own significance? How do we determine and express our sense of other persons’ value? We also see that, like ourselves, they base all of their thoughts, emotions, and behaviors upon their awareness of their rank in the system of society, and their appreciation of other people’s. How do Cao’s characters accomplish their astonishingly sophisticated consciousness of station and status? Do we invent our awareness? Or are we taught it? These are the central issues and themes of The Story of the Stone. They are, I believe, the central issues and themes of every work of literature. As we struggle to comprehend the poetics of characterization in Cao Xueqin’s art, we quickly realize we do not understand these mechanisms in our own life. We know little about the means by which we formulate and assert our own instinction of identity, worth, and place. Nor do we know how other people in our community perform these crucial tasks. Certainly we do not understand the comparative poetics of characterization. We have no idea how human beings develop and project their awareness of selfhood, worth, and place in the specific country and culture they inhabit. It is one of the principal purposes of literature to ask these questions, and to stimulate us to think deeply about our replies. This is one of the reasons every society accords high prestige to the making of story and the study of story. We treasure storytelling, cherish its creators, esteem its interpreters, and expect enlightened adults and educated children to experience it because we want to know much more about the “principle” of human “consequence” than our quotidian experience equips us to understand. To be sure, we expect novels, films, plays and poems, and films to entertain us. But we love and exalt literature primarily because we want to know why some lives are more important than others. We want to know why certain persons are more worthy of notice, and therefore more valuable, than the many billions of our sisters and brothers who do not interest us. In every civilization, only religion and literature fully recognize this subject’s significance, its oceanic complexity, and its discomforting impoliteness. Only literature discusses this most impolitic of subjects overtly. Most deliberately and most directly, the genre of the novel. However, we greatly can increase our consciousness of this disturbing issue and the indispensable role of literature in emphasizing and examining it by considering how two masterpieces written in an approximately similar era in two radically differing civilizations analyze and dramatize the poetics of characterization. 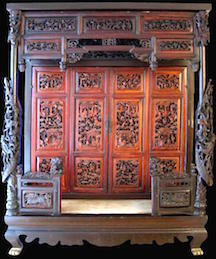 The works I have in mind are The Story of the Stone in China and its nearest peer in the west, Pride and Prejudice. In every novel ever written in the western civilization, characters devote a predominant proportion of their thought and energy to assessing their status. Consciously or unconsciously they incessantly evaluate their superiority or inferiority to every other member of their community. They do this for two reasons. They believe they can determine their own value only by contrasting their “consequence” with everyone else’s. They want to increase their worth, stimulate upward mobility, and enjoy the gratifications their society’s “notables” receive. Multiple considerations affect the calculus of a human being’s worth. In the end, the determinative factor is wealth. Money. Its quantity, its age, and its source. In the western social order there exists an unspoken but universally understood awareness that, notwithstanding our spiritual qualities and our putative political equality, every person is a commodity. A more or a less valuable economic function, product, and thing. 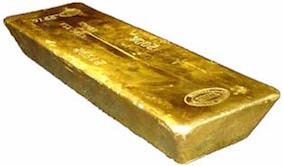 Money is the western world’s pivotal signifier and standard. Therefore, wealth, its etiologies, and the experience it is presumed to confer are the root topic of its cultures’ narratives. The acquisition and display of wealth are its protagonists’ foremost desire. The activity of assigning social significance is overt and unabashed in Pride and Prejudice  – arguably the most influential and undoubtedly the most loved novel in the world. The practice of determining each individual’s importance is infinitely complex. Its “principle” is straightforward. Almost every character in the book believes human worth inheres almost exclusively in wealth. This is not a misapprehension. The culture of Regency England imposes a blunt correlation between its citizens’ economic condition and their station in society. Characters’ power to command interest in Pride and Prejudice is established primarily by the interdependence between their financial circumstance and their social status. Stated in Cao Xueqin’s terms, the amount of money people possess “guides” their eligibility and “selection” to become “recorded” in Austen’s story. All societies place a premium upon hierarchy. The western civilization teaches its citizens to believe their position, power, and pleasure are flexible, and to a large degree under their own control. If we behave well, work hard, and increase our capital we can improve our social standing and expand our happiness. Austen often teases these ideals and their conceptual elements. Nothing seems to her more comedic than our capitulation to our culture’s overvaluation of wealth, and our naive belief in its myth of unimpeded volitional mobility. Austen of course did not originate the “principle” of equating individuals’ value with the amount of money they possess. Her novel conscientiously reflects the moral imagination that prevailed in Regency England. No one ever has supposed that the possessors of money necessarily exhibit spiritual or civic merit. But this is irrelevant. What is of defining interest in the bourgeois capitalist culture is not virtue but value. And value is thought to be vested almost wholly in wealth. Reverse mobility also is possible in the world of Pride and Prejudice. Indeed, it is an acute peril. In the society of mercantile England, one can decline in affluence and prestige at least as readily as one can advance. For the purposes of storytelling, there is equal drama is either form of motion. 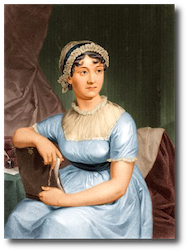 The key fact for Austen and her characters is that movement, whether positive or negative, is continuous, conspicuous, and critical to every person’s “consequence” in their community. Austen’s narrative design mirrors the social fabric it illustrates. Some characters rise in their social position. Many others recede. Their ascent or fall is reflected in their narrative position: the amount of attention they command, and the allotment of space they receive in the tale Pride and Prejudice crafts. Pride and Prejudice revels in its characters’ rare instances of ascendant movement. Elizabeth and Jane Bennet triumphantly increase their wealth. Their access of affluence monumentally improves their standing in society and powerfully contributes to their exceptional happiness. Their remarkable advancement fascinates and thrills their family, their friends, their author, and all of us who read their story. The absoluteness and swiftness of their mobility epitomize heroism, and requires the genre of epic. Other protagonists – most notably Mrs. Bennet, Mr. Collins, and Lady Catherine de Bourgh – are utterly immobile. Absurd, iterative, feckless, stuck, they are incapable of motion. Their inability either to develop or shrink embodies bathos, and requires the genre of comedy. Lydia Bennet and Mr. Wickham willfully devote their lives to dissipation. Born with advantages, they embrace depravity, enjoy dissoluteness, and repeatedly opt to decline. Their cavalier and precipitous collapse is grotesque, and requires the genre of satire. Pride and Prejudice brilliantly demonstrates that the English social order will yield to applications of individuated imaginative force. Again and again Austen shows us this phenomenon constitutes an implicit contractual relationship between sociality and selfhood. The notion of fate has zero currency in western culture. Every character in Pride and Prejudice enjoys absolute freedom of will. Female or male, born with many advantages or none, each individual in the novel possesses the right and the power of self-government. They create their own emotions. They develop their own desires. They form their own judgments. They behave as they choose, and in the exercise of their autonomy they author themselves as discrete and distinctive individuals. Independence and individuation do not necessarily enact themselves as goodness, wisdom, or grace. The novel’s heroic characters – Elizabeth, Darcy, Jane, Charles Bingley, Colonel Fitzwilliam, Mr. and Mrs. Gardiner – are keenly intelligent, loving, communal, responsible, and generous souls. They are “notable” for their excellence. Others, many others, are pretentious, silly, unpleasant, or flat-out despicable. We find ourselves laughing at, recoiling from, or sometimes loathing their sensibilities and reprehending their conduct. We feel dazed yet riveted by Mrs. Bennet’s ingenuous vapidity, guileless vanity, and effusive venality. We feel astonished yet mesmerized by Lady Catherine’s colossal egoism and cosmic imperiousness. We feel astounded yet delighted by Mr. Collins’s belligerent insipidity and uproarious idiocy. We feel appalled yet fascinated and beguiled by Mr. Wickham’s polymorphous perversity and startlingly bland wickedness. We feel shocked yet captivated by the three youngest Bennet sisters’ amazingly comprehensive shallowness, scandalized yet enamored by their hilarious weirdness. And dear Mr. Bennet. We frequently feel baffled by the Bennet family’s gravely flawed, myopic, ineffectual, sarcastic, learned, vague, dissociative, wildly irresponsible husband and father. Yet he is luminous, screamingly funny, infinitely sweet, and we love him. Some, not many, accomplish sublimity. Others become dull, deranged, devious, or detestable. They all command a place in their civilization’s most important and compelling novel because they fulfill the cardinal virtue of the culture in which the work was written. They recognize their liberty, they enact it, and in so doing they manifest themselves as fully individuated personalities. In the civilization of eighteenth-century China, every human being is born into a clearly demarcated station. Each person’s positions are categorical, inevitable, and, with few exceptions, unalterable. Every woman, man, and child must understand, accept, and fulfill the roles they have been bequeathed. Individuals who fail to comprehend their stratum and accede to its requirements are almost certain to suffer isolation, punishment, or death. Autonomy is inconceivable. Negative movement is probable. Only rarely can people progress in their position, improve their circumstances, and increase their happiness. No one in the novel revolts against their nation’s inflexible social order, because no one supposes it was created or is enforced by the oligarchy it privileges. Everyone believes the conditions of their lives have been ordained by a supernal force: an agency perhaps deific in nature, perhaps not. In the universe Cao Xueqin describes, each person’s lot in life is predestined. One’s fate cannot be altered. Therefore it cannot reasonably be resented or rebelled against. The Stone’s characters know they must live within the freedoms their destined sphere permits and accept the confines it mandates. But they do not submit unequivocally to the stereotypy, stasis, and sterility this regime seemingly imposes. Although imprisoned in a largely unchangeable hierarchy of echelon and estate, they devise a Promethean method of liberating their consciousness, personalizing their identity, and enhancing their satisfactions. The citizens of Imperial China know that in their severe, inflexible community it would be suicidal to become perceived as an independent, self-directed personality. So, with exquisite discretion and delicacy, they conceal their autonomy and uniqueness behind a mask of docile orthodoxy. To the outer world they present a veneer of impeccable propriety. They keep their authentic thoughts and true feelings strictly hidden. They make their bounteous and internal life a clandestine domain that cannot be detected by other people. In this fascinating novel everyone concludes they must become a seemingly sincere deceiver. Not a bold Elizabeth Bennet, but an allusion. Not a resplendent Fitzwilliam Darcy, but a cautious artifice. An impenetrable euphemism. Like women and men everywhere else in the world, The Stone’s characters want to manifest their personality and enjoy the fullest possible magnitude of experience. But they accept that in order to survive in their tyrannous society they must project a façade of undifferentiated, contented conformism. They want to move. But they must behave as though they are serenely paralyzed. They want to unfurl their wings and soar. But they know they must entomb their robust interior nature in a sarcophagus of correct sociality. The Stone’s characters do not regard the paradox and prevarication of their lives as spurious, cruel, or repugnant. They never think in these terms. They conceive, rather, that the circumstances they confront are the condition of existence, elemental and eternal. They gain traction over their otherwise immitigable lack of power by contriving a culture of ceremony: an intricate and ingenious form of theater. They never say what they think. They never display what they feel. They veil themselves in a continuous pageant of courtesy and decorum, ritual and rite. They exchange symbiotic charades of formulaic politeness that register their assent to their community’s pyramidal order and buries the actuality of their real ideas, beliefs, opinions, and passions. They dance a fantastically deceptive minuet that camouflages and thereby enables their unarticulated individualism. Conformism is a communal art. The conventions of correctness provide reciprocal empowerment for everyone who participates in them. By enveloping themselves in a collaborative stagecraft of subordination and rectitude, The Stone’s characters create a tableau in which no one appears independent and individual, specific and singular. They disappear as discriminable persons, and become exemplary semaphores of their assigned stations and statuses. They obscure themselves as “notables,” and become undifferentiated ideograms of their caste and class. Everyone who learns how to be outwardly conformist can inwardly think, feel, hope, and dream in whatever manner they please. Cao’s characters are as individual and impassioned as Jane Austen’s. We just have to work harder to see, know, and understand them. In the society Cao portrays, courteous people constantly disavow their own “consequence” and aggrandize the importance of their equals, their superiors, and, in many instances, their inferiors. Nothing can seem more puzzling to western readers than the spectacle of many hundreds of characters fervently denigrating their own worth, and wholeheartedly celebrating the preeminence of every other person in their purview. Or so it may seem. The more we study this labyrinthine novel, the more we realize the motives and rewards that shape its characters’ ostensible sycophancy are cunningly manipulative. In the overpopulated, impoverished, tempestuous world of eighteenth-century China, a great many people must chase a small number of exceedingly limited enfranchisements and emoluments. The most effective strategy for surviving scarcity is to appear ordinary, and therefore unimportant. The safest tactic in a harshly combative environment is to seem not to be a competitor. Not even a factor. Throughout The Story of the Stone Cao shows us that every time his players depreciate their own primacy and extol another person’s, they safeguard themselves and place the targets of their civility in jeopardy. In the community The Stone depicts so vividly, courteous people are not simply culturally correct. They are strategically sophisticated, shrewd, and dangerous. The Stone’s characters invariably minimize the significance of the present, celebrate the past, and strive to preserve continuity with ancient customs and codes. This phenomenon puzzles the novel’s western audience because they have been taught innovation is synonymous with improvement. Western readers commonly believe perpetuating timeworn values inhibits individualism, hampers creativity, and impedes progress. In western societies the awareness of history is archival. It placement is relegated to museums, monuments, academies, escorted travel, thematic parks, and entertainments. In The Story of the Stone the past is required to dominate the present and prevent change in the future. This is because in feudal China’s condition of privation and peril immortalizing the ideals, laws, and mores that have succeeded previously seems to most citizens their best chance for stability and survival. In particular, The Stone’s characters glorify their genealogy. They worship their forebears, and they subsume everything that is personal and transitory to the long-term interests of their lineage. Western people rarely do this, because they expect and receive copious protections from their governments. Reasonably clear, reasonably just statutes. Effective and fair policing and jurisprudence. Liberty of expression. Civility and kindness from their confidants and most of their neighbors. Cao’s characters enjoy none of these privileges. They must live their lives in undefended exposure to their volatile world’s frightful dangers. They believe paying homage to their ancestors and fortifying their descendants may protect themselves and their intimates from the worst hazards of their difficult existence. They believe, or perhaps they merely hope, their progenitors’ spirits and the combined talents, strengths, and material resources of their living relatives may cushion their inevitable sufferings. In Imperial China filialness is neither voluntary nor altruistic. It is mandatory. It is also enabling. Individuals who revere their family will seem commonplace, inconspicuous, and therefore unthreatening. Orthodoxy is prophylactic. It is also empowering. Individuals who manifest compliance with their culture’s requirements wall off their interiority. They enclose their authentic consciousness within an invulnerable rampart of normalcy, an unbreachable bulwark of typicality. The Stone shows us that much can be accomplished within the secret space provided by its society’s pieties. Characters who are adept yet prudent with the freedoms they conceal can work hard, accrue earnings, increase their opportunities, secure their family’s gains, and broaden their progeny’s prospects. Those who maneuver most effectively will become ancestors in their own right, adulated for eons to come by their grateful descendants. The society Cao describes is autocratic, highly stratified, tightly regulated, and fiercely resistant to change. There is no room for visionaries, scant latitude for choice, and little leeway for personal preferences and untrammeled volitions. One of the novel’s most significant characters, Xi-feng Phoenix, succinctly summarizes this cardinal principle. At a late point in the novel’s first volume, she exclaims: “There are fixed rules to everything” [Hawkes, i., p.431]. Phoenix does not speak of economic and emotional fixity, as a western person surely would, in a mood of exasperation. (Please see Note 4.) She is not expressing anger, frustration, or sorrow. She is imparting gratitude. She is thankful that her civilization’s comprehensive laws, stringent customs, and catholic conventions may afford her some degree of protection from life’s turbulence, travail, and torment. As we immerse ourselves in the two thousand pages of The Story of the Stone, we discover there literally do exist “fixed rules to everything” in feudal China. The skill with which characters perceive and fulfill their stratum’s mandates determines the extent of their ability to survive other people’s predations, advance their own interests, and improve their heirs’ potential for happiness. No other provision of China’s “fixed rules” is more important than the giving and receiving of respect. Every person in The Stone must know how to offer and how to accept precisely calibrated expressions of esteem. The most graphic example of this essential conformism is the kowtow: kneeling and brushing the carpet, floor, or ground with one’s forehead. Socially inferior persons who correctly kowtow to their superiors emblemize their submission to the hierarchic paradigm, and qualify themselves for inclusion, security, and potential mobility within it. Socially superior persons who correctly receive a kowtow express a similar acquiescence, and position themselves for the protections and privileges the civilization provides. China’s feudal society is pyramidal and patriarchal. It also is egalitarian. Every person inhabits a defined grade, rank, and degree. Each person who properly perceives and manages their position’s requirements earns a degree of dignity and improves their prospects for survival. Individuals who lacks these capabilities court dishonor, jeopardize their family, and risk extinction. Imperial China’s citizens are not created equal. However, they all are accorded equal inclusion within a holistic design and a systemic complex of meaning. Studying individual instances shows us the organism of China’s social order, the absoluteness of its authority, and the universality of its inclusiveness. Pervading Fragrance, a maidservant who thoroughly understands the limitations and obligations of her slavish condition, is recognized by her mistress, her peers, and her author as an exceptionally gifted, refined, and deserving human being. She may be an indentured menial, but she is not a nonentity. She is a singular, estimable, deserving person whose social station is, if utterly subordinate, defined and dignified. Several members of the Jia family, seigneurs, rich, powerful, fawned upon, fail to fulfill the responsibilities their advantaged estate requires. Their inability to recognize their position’s obligations and accomplish its decorums exposes shocking egoism, crudeness, and incompetence. Their vanity and vulgarity are not merely obnoxious characteristics. They drastically imperil their interests. Their ignorance and discourtesy starkly demonstrate they do not merit the elevated standing into which they were born. Throughout the novel their exalted station commands and receives attribution. Never, though, do they inspire respect or affection. Accordingly, their stature markedly diminishes. They are too obtuse to discern the fact of their descent. But there can be no doubt their deterioration will reduce their unborn descendants’ birthrights and impair their prospects. They commit the Confucian culture’s arch sin. They disregard the categorical imperative of filialness. Lost in vapid narcissism, they place transient trivial gratifications above their sacred duty to their forebears and their issue. 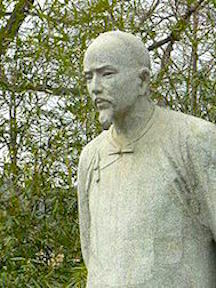 Bai-yu is one of The Stone’s most distinguished characters. Her rulers, coequals, and servants perceive in her a most uncommon excellence. Everyone she encounters admires her intelligence, goodness, and grace. We do not know if it is her destiny to marry and continue her family’s positive mobility. We do know she has honored her ancestors, served her civilization, and beautifully affirmed her humanity. Phoenix is Bai-yu’s polar opposite. Everyone in the novel considers her an offensive, conniving, insincere, heartless shrew. Her charlatanism and incivility never are commented upon but always are seen, felt, and abhorred. Phoenix is a dishonor to her parents, a discredit to her position, and a disgrace to herself and her community. Should she ever wed and become a parent, her children will become born into a damaged condition. Innocent of their mother’s depredations, not responsible for their family’s decline, they will confront daunting challenges. The Stone portrays a despotic civilization. It demands conventionality, ritualism, and obsequiousness. However, its inhabitants are anything but mechanical, uniform, or homologous. Bai-yu is “notable” because she is wonderful. Phoenix is “consequential” because she is awful. Pervading Fragrance fascinates us because she is wise, responsible, persevering, gracious, and lovable. The worst members of the Jia family intrigue us because they are dreadful. The “fixed rules” of Imperial China constitute a demanding topography. The novel’s characters must situate themselves within the firmly delineated structures of normality their society imposes. The manner in which they choose to navigate these unjust but ineliminable geologies radically individuates each of them. Although the civilizations of Regency England and Imperial China differ in almost every regard, they share one crucial similarity. Individuals cannot define themselves unilaterally. In Pride and Prejudice and The Story of the Stone developing a personal identity is a reciprocal activity. Characters can establish their own significance only by acknowledging other people’s status, and receiving recognition in return. Correctly evaluating one’s own and everyone else’s “consequence” is one of every person’s paramount necessities. Austen and Cao teach us this is an exceedingly complex and difficult art, fraught with delusion, deception, and danger. In Pride and Prejudice the intricate process of reciprocal classification ordinarily transpires uneventfully. These instances have little claim to narration. The novel’s storyline, its suspense, and its withering comedy are rooted in its protagonists’ frequent inability to accomplish accurate, cogent, and enduring identification. Failures of orthodoxy demand narration. Let us consider several instances. Examining the experience of several major characters helps us see how complicated and confounding it can be to know oneself and to become accurately known in society; how greatly all the novel’s people depend upon one another for context and coherence; and how powerfully Austen is attracted by exceptions to normative individuation. We might imagine no one could fail to esteem the exemplary qualities of Elizabeth and Jane Bennet. Yet, many people do – notably, Lady Catherine, Mr. Collins, and Miss Caroline Bingley. Their inability rightly to evaluate Elizabeth and Jane is mirrored by their puzzling misjudgments about themselves. Lady Catherine believes her aristocratic ancestry and inherited wealth entitle her to prepotency in society, infallibility in opinion, and regency over all who pass within her purview. She is unable to perceive she is preposterous, insipid, and utterly friendless. Mr. Collins believes his craven conventionality and garish groveling constitute a platform for personhood, a title to position, and an allure for marriage. He cannot discern he is ludicrous, mean, and repulsive. Caroline Bingley believes she is ravishingly beautiful, an impeccable arbiter of taste, an icon of fashion, and an irresistible match for the most affluent and therefore most desirable males in her society. She is blind to the fact she is devoid of substance, barren of attraction, and an insufferable bore. Lady Catherine, Mr. Collins, and Miss Bingley define themselves as baroquely defective personalities. They force their author to treat them as figures of fun. These and the novel’s many other unenlightened characters are excruciating, poignant, and sidesplittingly funny. They are invaluable to the narrative, though, because they grandly embody the framework of unreality and unkindness against which the heroic characters must build their paradigms of sincerity, substance, and healthy sociality. Let us consider the trajectories of Mr. Darcy and Elizabeth Bennet. Mr. Darcy first appears in Pride and Prejudice as a gigantically empowered, supremely intelligent, yet inhibited, stiff, seemingly arrogant, and almost wholly blocked man. He is rescued from absurdity and immobility by his instinctive ability to see, accurately assess, and yearn for union with Elizabeth Bennet. He, and he alone in his community, accurately perceives her wondrous brilliance, virtue, vitality, and uniqueness. He attains to heroism when he determines to reject his caste’s invalid values, accept the Bennet family’s imperfections, and embrace his own appreciation of her peerless merits. She enters the narrative as a preternaturally accomplished young woman who excessively trusts her judgment and her belief in her autonomy. She makes mistakes. She initially interprets the obviously duplicitous, sociopathic Mr. Wickham as an endearing victim. She misjudges Darcy as vain, overbearing, callous, and persecutory. She jejunely underestimates the power of her civilization and the sovereignty of its social order. Elizabeth opens herself to growth when she becomes injured by her errors. Humiliation and loss harm but do not derail her. She recognizes her agency in her suffering, confronts her failures of percipience, laments her limitations, and prepares herself for what she fears will be a lifetime of disappointment and regret. She attains to heroism when she reforms her exorbitant certitude, renounces her sense of unitary self-sufficiency, embraces her need for loving partnership, and elects to unite her stunningly insurrectionist individualism with the only man in England who is worthy of her. The journey toward or away from accurate awareness of one’s own and other people’s identity makes the stimulus for Austen’s art and shapes the content of her storytelling. The novel’s most impressive characters and Austen’s most compelling creativity occur when the women and men she most values revolt from the impositions of public opinion, rely upon their own instinction, and compel their community to accept their self-determined individuality. The Story of the Stone dramatizes many similar journeys toward and away from enlightened awareness and authentic identification. Once again we best can see the society’s organicism, complexity, and hegemony by studying the experience of several key individuals. The Matriarch requires everyone she encounters feel overawed by the magnitude of her wealth and the entitlements it accords. She believes her bellicose assertions of rank will coerce reverent deference to all her impulses, sentiments, tastes, and desires. She is unable to discern she is secretly scorned and roundly loathed. Bao-yu’s father endlessly milks the privileges of his paternity. He cannot see his perversions of prerogative paralyze his son, stunt the child’s development, and permanently alienate his affection. Jia Cardinal Spring Yuan-chun shrilly asserts the perquisites she believes devolve upon her promotion to the Imperial Bedchamber. She is blind to the fact her extravagant proclamations of eminence eradicate her stature and render her ridiculous. The Matriarch, Bao-yu’s father, and Jia Cardinal Spring overestimate the extent of their “consequence,” inelegantly abuse the actual significance their stations confer, and fail to conceive their duties to the community that provides their supports and sanctions. Their flaws make them discriminable as personalities and potent subjects for storytelling. Ultimately, though, their defects immobilize them. They force their author to represent them as caricatures of iterative arrogance and folly. They are absurd people, but they are crucial to their narrative. Their imbecility and fixity make establish the archetype against which the novel’s heroic individuals define their distinction, dignity, and honor. We witness the fullest expression of Confucian consciousness and Chinese community at the funeral of Qin-shi. Cousin Zhen, the head of the Jia family, feels deeply moved that the Prince of Beijing deigns to attend his relative’s memorial service. Cousin Zhen … at once gave orders to his insignia bearers to halt, and hurrying forward with his uncles Jia She and Jia Zheng, saluted the prince with full court etiquette. The Prince received their prostrations with a gracious smile and a slight inclination of his person inside the palanquin, and when he spoke to them it was not as a prince to a subject, but using the form of address he employed with speaking to family friends [Hawkes, i., p.286]. Zhen and his uncles do not degrade themselves by kowtowing to the magnanimous prince. Far from it. The powerful men of the Jia family lay themselves on the ground in abject servility. In this gorgeously deferential gesture they acknowledge, symbolize, and glorify the regality of the Prince. Their abjection simultaneously highlights the “consequence” their superior has given them. The kowtow honors the potentate. But it synchronously emphasizes to everyone who witnesses it the fact that a monarch has bestowed upon the Jia family enormous recognition, respect, and regard. The grand and the less grand have crafted a masterwork of reciprocal identification. Joined in fealty to an infinitely complicated and subtle social order, they co-create a masterpiece of mutualism. The Prince, Cousin Zhen, and his uncles do much more than transact a symbiotically beneficial exchange of esteems. They also enact a metaphysic. They demonstrate that, although there are large differences in our socio-economic circumstances, we all are united in a community of commensalism. The polity in which Cao’s characters reside is non-egalitarian. Their circumstances and experiences are grossly inequitable. But they all discover that identity formation cannot occur in a vacuum. They all discover that they must learn how to know, develop, and express themselves in a lifelong sequence of comparisons and contrasts with everyone else. The Story of the Stone recounts a multitude of similar ceremonies between master and servant, man and woman, parent and child, rich person and mendicant. Some of the novel’s characters are mighty. Others are miniscule. Some are sagacious. Others are simpletons. Some are good. Others are iniquitous. All are necessary to one another. 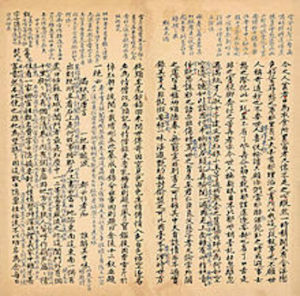 Therefore, all are worthy “subjects for inclusion” in Cao Xeuqin’s long, byzantine, splendid story – China’s most important and most loved tale of her minutely reticulated, venerable, very great civilization. The civilization in which Cao Xueqin lived developed a comprehensive system of beliefs and rules that intricately codify every facet of human thought, emotion, and behavior. Its tenets are expressed most influentially in The Analects of Confucius . The Analects is not a theological tract. It is a work of teaching: a collection of sayings that explicate the nature and structure of reality, and impart a cohesive moral and social ethicality. 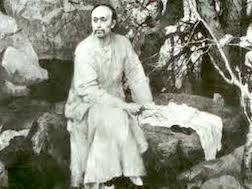 In the Confucian culture individuals have responsibilities and duties, not prerogatives and privileges. We all must venerate the essential and inalienable architectures of order: civilization, community, family, rank, and responsibility. We must abnegate our selfhood and unconditionally serve the imperatives of stability, the needs of our family, and our obligations to those placed above and below us in the pyramidal social fabric. Confucianism is an entirely secular philosophy. It asserts a wholly humanistic vision of lofty ideals. Its commandments are purely consensual. No deity demands faith, coerces obedience, rewards virtue, or punishes vice. Confucianism recognizes no Supreme Being, no hypothesis of beatific ordination, and no principle of correlation between our personhood and our experience of existence. The Stone portrays mortal tellurian life as the sole plane of our existence. We live a single life span in a universe that is indifferent to our presence, our particularity, our sensations, and our will. This most laic of civilizations conceives that everything about our experience is predestined and, often, inimical to our happiness. Position, power, and privilege are conferred arbitrarily, usually by birth, and may be withdrawn at any moment. Impropriety and transgression almost certainly will provoke harsh punishment. Goodness and decorum will not necessarily produce advantages and pleasures. Cao repeatedly emphasizes this desiccative metaphysic. It is The Stone’s foundational ethos, the narrative’s organizing principle, and the controlling dynamic of its characters’ lives. Of a remarkable young servant called Patience, Li-huan observes: “Such a lovely girl. She carries herself with dignity and grace. No one would ever take her for a maid. But there’s no arguing with fate” [Wang, 188]. Madam Wang, a kindly woman, tries to console the savagely abused Welcome Spring: “You’ll have to make the best of it if you can, my child…. It must be your fate” [Wang, 279]. When she learns of the mortal illness of Dai-yu, Li-huan “thought of [her] rare beauty and her many accomplishments and reflected on the irony and cruelty of fate” [Wang, 300]. Again and again The Stone tells us our lives are determined by an all-powerful force we cannot comprehend, impact, or combat. We can hope. We can try to live honorably, propitiate society, and conciliate the cosmos. In the end, there is no arguing. We are ruled by and we must accede to an omnipotent agency we cannot understand, mollify, resist, or rationally resent. The Stone’s characters occasionally enjoy momentary gratifications. Never do they achieve persisting happiness. It is particularly conspicuous that they fail to create and receive love. Lovelessness is evident everywhere in the novel. It is most extreme in the relationship between Bao-yu and his father. 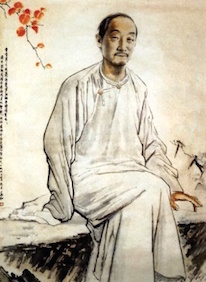 Bao-yu’s father conceives of his paternity as a plinth for his own empowerment. He issues injunctions, barks orders, exacts obedience, imposes chastisements. Not once does he offer his son loving counsel or nurturing protection. Not once does he emit even a single syllable of fondness and affirmation. His conceptions of matrimony are equally impoverished. He regulates his wife, suppresses her will, and superintends her movements. Never does he give her esteem or endearment. Never, accordingly, does she give him affection or appreciation. The father derives from his family life prolific intimations of his own “consequence” but he does not generate, gain, or seem ever to want any sense of joyful communion with his wife and their child. His wife and son receive little more than misery from their experience with the head of their household. They do not bemoan this circumstance. It does not occur to them that we may cherish our spouse, adore our parents, and wish to situate and define ourselves in the euphoria and sanctity of earthly love. Similar attenuation cripples the relationships between all the other women and men in the novel. Throughout The Stone men almost always attempt to subjugate women. They stifle their lovers’ opportunities, circumscribe their activities, and often molest them physically. Unsurprisingly, women respond by duping, deceiving, manipulating, and extracting advantages from the men who contaminate their lives. As we have seen, everyone in The Stone derives important reciprocal benefits from their relationships: especially from the not entirely dissimilar relationships of marriage and bonded servitude. However, it is exceedingly rare for any person in the novel to procure meaningful and enduring intimacy. Cao depicts a cosmos in which supernatural forces exist but are devoid of sublimity. He describes a human ecology in which people enmesh themselves in interdependencies but rarely engender mutuality, tenderness, and nourishing friendship. The Story of the Stone is a saga about wilting and withering. Imperilment, decline, and ruination are the narrative’s dominant elements. Loss is its most common event. Suffering is its most common outcome. Hopes, purposes, relationships, and institutions invariably dwindle, degenerate, and decay. Cao’s dramatic pattern is to move his protagonists from possible security and proximal satisfaction to dimunition, disappointment, and death. Almost everything his characters build eventually disintegrates. This is not merely an authorial temperament, a despairing individual’s neurotic nihilism. Throughout The Stone numerous celestial beings proclaim that all our ideals, goals, appetites, and actions are illogical, inconsequential, and doomed to frustration. Above all, we are told it is delusory to love. The Stone recognizes no God, but does deify disbelief and disillusion. At one point in the narrative, a being called the Goddess of Disenchantment epiphanizes herself for the sole purpose of proclaiming: “Love is an illusion” [Hawkes, i., 146]. An opposite ethos shapes Pride and Prejudice. Jane Austen ebulliently affirms the western civilization’s core conviction that the universe is animate, just, and methodically responsive to every individual’s consciousness and conduct. Everywhere in Pride and Prejudice we perceive a world redolent with intelligent design, radiant with consecration, and gloriously supportive of our spiritual, emotional, and physical needs. The society the novel records is frequently banal, insensitive, and repressive. But also it is liberal, salubrious, progressive, and pliant. Austen never speaks of a God, The Holy Bible, ecumenical teachings, or an afterlife. She does repeatedly suggest the identity we construct will be adjudicated and requited during our life span. People who fulfill their culture’s conceptions of decency and grace become appreciated, successful, and content. Those who do not become disesteemed and, ultimately, disenfranchised. The novel’s responsible, respectable individuals, the good, the gentle, the generous – Elizabeth, Jane, Darcy, Bingley, Georgiana Darcy, despite her lapses, Mr. Bennet, despite his, Mr. and Mrs. Gardiner, Colonel Fitzwilliam – find their way to material comfort, prestige, love, and abiding happiness. Pernicious, unkind, abusive persons – Wickham, Mrs. Bennet, the younger Bennet sisters, Lady Catherine, the Misses Bingley, Mr. Collins, Charlotte Lucas – progressively degrade and eventually disestablish themselves. Elizabeth, Darcy, Jane, and Bingley are granted the highest entitlements their civilization can confer. They love, and they are loved. They will live in stature and plenty. They will share their happiness and bounty with their blood relatives and the numerous retainers and neighbors who cohabit their sphere of influence. Because Wickham and Lydia choose to behave dissolutely, they descend precipitously. They plummet from the moderately comfortable circumstances they inherited at birth, become shunned by honest people, and will spend the remainder of their presumably short lives in degrading sensual addictions, pecuniary distress, and that most pitiable form of penury, poverty of spirit. Lady Catherine is born to high title and immense estate, but she elects to become arrogant, domineering, self-centered, and self-serving. She will pass the remainder of her isolated days and lonely nights in haughty inertia and supercilious dissatisfaction. Mr. Collins and Charlotte Lucas are not vicious people, but he is risible and she has sold herself cheaply for a modicum of monetary security and a mite of factitious respectability. They will subsist together in the animosity and tedium that are their sad preference and their tragic achievement. 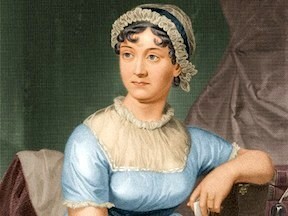 Jane Austen is an ebullient author. She confidently believes there exists an integral commensurability between the character we construct and the experience we receive. Her art has many purposes and a plethora of themes. Her primary objective and her towering achievement are to demonstrate that we live in a universe benign in design, brimming with abundance, and replete with liberty. In the world of Pride and Prejudice, nothing is preordained. All is choice. Woman and man, adult and child, we each of us during every instant of our lives invent our individuality, forge our course, and earn the existence we want and deserve. The society Austen dramatizes is not an ashram. Its hierarchies are glaringly unequal. The preferments it allocates are asymmetrical. Many of its constructs are specious and damaging. This is not essence, though. It is tapestry. It is the imperfect but adjustable topos within which every soul freely can develop the predilections and preferences that constitute our selfhood and express our meaning. Pride and Prejudice and The Story of the Stone were written during a similar era in history, but they describe two antithetical worldviews. The western civilization’s most beloved work of literature is pervaded by a spirit of expectancy. Regardless of their position in society or the state of their fortunes, almost every character in Pride and Prejudice lives in a state of eager anticipation. Justifiably or deludedly, everyone believes they possess “consequence,” warrant happiness, and in the fullness of time will obtain it. This is a narrative animated by delight. Austen and her protagonists are enchanted by life. They feel gladdened by the world, proud of their country, and hugely entertained by themselves and their neighbors. Pride and Prejudice famously has little to say about the immense economic and political changes that are transforming western civilization in 1813: industrialization, urbanization, militarism, imperialism, slavery, the rise of science and technology, the Napoleonic wars. These are not inadvertent lapses. Austen’s interests do not include geopolitics and macroeconomics. She is interested in individual people living their lives in small communities and, occasionally, in London or other English cities. She is fascinated by the phenomena of identity formation. She is wholly committed to exploring our relationship to society, and our discriminability from it. The rhapsodic reception Pride and Prejudice has received for two hundred years suggests Austen’s concerns and the genius with which she renders them are of far greater importance than the historical watersheds, rulers, and warriors she sometimes is criticized for ignoring. The root subject of Pride and Prejudice is happiness, as it is found and expressed in love. There is no other subject of greater significance in human life, and there is no other work of literature more momentous in its exposition and celebration. China’s most cherished literary creation is pervaded by a spirit of weary sufferance. The Story of the Stone delineates a world that taxes our physical needs and thwarts most or all of our imaginative requirements. No matter how “notable,” Cao’s characters realize their powers are fragile and their pleasures are momentary. Every moment of their lives they feel painfully aware that the few privileges and pleasures they accrue most likely will wane, ebb, or vanish in a trice. With good cause they fear for their survival. Artless or accomplished, pauper or prince, every person in feudal China discovers that life routinely inflicts injury and loss. Destitution, disease, and death are rampant. Enslavement is endemic. Humiliation is ordinary. Deprivation is usual. In order to attenuate the privations that are certain to befall them, everyone strives to minimalize their expectations. They ask as little as they can of life, one another, and themselves. Because they know large and permanent fulfillments are impossible, they seek sanctuary in selflessness, stability, and stoicism. They sometimes indulge in fleeting flights of fancy. But never, ever do they dream of expansive, enduring ecstasy. Insofar as the universe may be said to possess an animating spirit, its nature is arid, capricious, injuring, and intractable. Ardent but epically frustrated, intentionally sublimated, politically tyrannized, denied any plausible ground for expectation, they reside in a surround of all-encompassing anxiety, aloneness, atrophy, and aching. Most western readers would expect that the citizens of feudal China would consider their existence unbearable and would abhor their lives. They make no judgments about the nature of existence. They regard their ontology as ineluctable: reality actual, and absolute. And they love their lives. Every person in The Stone relishes thinking, feeling, eating, drinking, sleeping, waking, working, playing. They love living, and they live with intensity, vehemence, heartiness, and zeal. No matter how challenging life’s circumstances, no one in the novel ever wishes to die. Everyone loves living, thirsts for as much time as possible on this earth, and fervently does everything in their power to ingratiate the force of fatality they know to be incomprehensible, indifferent, and immutable. This is the transcendent achievement of Cao Xueqin. The Story of the Stone teaches us the universe has its sphere. Humanity has its own. From these two extraordinary novels we learn a great deal about the ways in which the civilizations of Imperial China and Regency England shaped their citizens’ consciousness and governed their conduct. We gain intimate insight into the manner in which people living more than two centuries years ago in East Asia and Western Europe understood reality, causality, emotion, knowledge, and belief. We enter hearts and minds. We see how a wide variety of women and men envisioned themselves, projected their public identity, protected their internal personality, and enacted their desires. Above all, we see the tenacity of our species’ will to remain alive. Not just to exist, but to wish and will, augment and ameliorate. Not simply to endure, but to try to make life better, to beget and build, to improve and advance. Through two artists’ riveting tales of domestic life in the capital metropolis of Beijing and the rustic village of Hertfordshire, we witness the nobility and beauty of humankind’s indefatigable drive to persevere, progress, and prosper. If not for themselves, for their children. If not for their children, for their children’s children. The myth of Elizabeth Bennet and Fitzwilliam Darcy teaches us that in the society of the early nineteenth century in England every citizen possesses the capacity to improve their inherited position. Opportunities were disproportionately distributed. Conditions in cities and in the countryside were severely challenging for those not born to privilege. Nevertheless every person can achieve slow, steady progress. Exceptional people – Elizabeth and Jane – can surmount all impediments, hurdle every barrier, and accomplish a swift, stupendous expansion in knowledge, adventure, stature, and pleasure. If they prefer, individuals can remain stationary. If they want to, they can deteriorate. If they like, they can debase themselves utterly. In its storyline, its certitudes, its imperturbable good humor, its serene and certain quietude, Pride and Prejudice establishes that in the early years of the Industrial Revolution the English civilization provides ample latitude for its inhabitants’ most powerful impulses. Not enough latitude, to be sure. The characters Austen most values consider many of their society’s canons and customs outmoded, unjust, and irksomely restrictive. Change is in process, however. Progress is manifest. The large majority of the novel’s people feel safe, content, and optimistic. Throughout Jane Austen’s sublime novel we encounter a civilization that is secure, fundamentally fair, and swiftly improving. We encounter a nation that is rapidly developing into a political, economic, and creative imperium. The myth of the Jia family, their friends, and the citizenry of Beijing teaches us that in Qing Dynasty China material and social advancement, personal happiness, and the experience of love are considered by the members of every tier to be chimeric illusions. People must inhibit their longings, at least appear to accept subjection, and perpetually accommodate seemingly intolerable artificiality and loneliness. We learn that during the era in which Cao Xueqin created his magnificent novel China’s civilization could not identify, let alone solicit, nourish, and bring to fruition, its people’s elemental needs and most important desires. The culture and country that inspired Pride and Prejudice stood on the precipice of epochal positivism and potentiality. It can be no matter for wonder that Great Britain soon would become and for many decades would remain the most influential and envied nation on earth. The culture and country that inspired The Story of the Stone acutely needed to undergo revolution, and relatively soon would do so. It would be valuable to compare similarly distinguished works of contemporary western and Chinese literature. Were we to perform this exercise we might well reach a converse conclusion about the current condition and future prospects of the two civilizations now most prominent in world affairs. 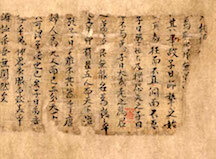 There are several English-language versions of The Story of the Stone. All have been lauded, although they differ markedly from one another in phrasing, tone, and length. Because most of the novel’s western readers are familiar with two of the translations, I will refer throughout this essay to both. The renditions I will cite are: Cao Xueqin, The Story of a Stone, 5 vols., tr. by David Hawkes and John Minford (Harmondsworth, 1973-1982) [hereafter referred to as Hawkes]; and Tsao Hsueh-chin, Dream of the Red Chamber, ed. & tr. by Chi-chen Wang (New York, 1958) [hereafter referred to as Wang]. It is a matter of much interest that relatively few people enter the imaginary universe of Pride and Prejudice. The body politic of Austen’s storytelling is considerably more restricted than that of Dickens, Thackeray, Trollope, the Bronte sisters, Elizabeth Gaskell, and George Eliot. Many nineteenth-century novelists are intrigued by a broad swath of humanity. Austen confines her art to a substantially smaller community of characters than her peers’. This is not to suggest that Darcy’s personal evolution legitimizes the caste system into which he was born. Austen does not assert that England’s social order is natural and appropriate. Nor is she a revolutionary. Pride and Prejudice reports and reacts to what is. Its insurgencies are limited to mockery. 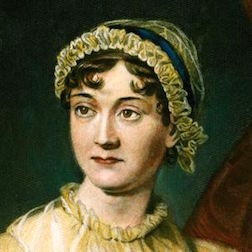 Austen implies but never declares that the social order will progress in its own way, at its own pace, in a manner suitable to its civilization’s temperament and its people’s disposition.